But, we don't really want questions like that in the long term. They help nobody but the OP. Once someone has answered, they are (frankly) a waste of time to even read. Not to mention a bit depressing. We used to have a closure reason which was basically that the question was only of relevance to the OP. That was removed. How about we bring it back? Variation on 1: there is a closure reason, "This question was caused by a problem that can no longer be reproduced or a simple typographical error." How about tweaking that to include "beginners mistakes" ... appropriately worded? Variation on 1: a closure reason for "beginners mistakes" ... appropriately worded. How about, a new class of closure reasons that can only be used for questions that have an answer (or an answer with a non-negative score)? These would result in different messaging to the user that doesn't suggest they have done anything wrong or that they should edit their question to improve it. In a sense, this is how dupe closure is handled. What does break statement do in java? Read the marked duplicates. If the use of break is still unclear, edit your question to specify exactly what is unclear. What's the difference between an argument and a parameter? The duplicates have a wealth of information / detail which is likely not going to materialise on the basic question asked today. It's also "vetted" via SO's voting mechanism. You are encouraging the poster to learn and come back to edit their question appropriately if their problem is not solved. Especially if you're a gold-badge holder in the relevant tag, you prevent others from wasting their time on a basic question. In my view, you are serving all 3 main groups alike: the questioner, users reaching the Q&A via Google, and answerers looking for good questions. Throwing in some more ideas for discussion and what I believe is a root cause. Changing the attitude here is key. I did not know what a parameter was. And then proceeded to edit the question in an attempt to improve it, to a point that was equally fundamental/dumb/beginner and unrecognisable from the first edition. I clearly had no concept of program flow. Now I know my intentions were to write a good question. I had no clue how to go about that and didn't know enough about programming to know how to ask a decent question. That is why I am patient with many newcomers. It's not easy learning programming. "professional and enthusiast programmers", not beginners. Again people learning programming often don't know how to ask a question due to lack of domain knowledge and are usually the worst at searching for duplicates, because of this. In the past I've advocated for a beginner sister site. It would solve some issues (create others - it could possibly end up a total cesspool). The other thing is, I believe we need is some place we can send absolute beginners that's may even be affiliated with our site. Without offending people. There's plenty of places to get tutorials, yet these types of comments tend to be flagged. This question was caused by a problem that can no longer be reproduced or a simple typographical error. While similar questions may be on-topic here, this one was resolved in a manner unlikely to help future readers. This can often be avoided by identifying and closely inspecting the shortest program necessary to reproduce the problem before posting. This may or may not be stretching the intended meaning of "can no longer be reproduced". I use this closing reason only in cases where OP clearly "mistyped" the code. That is, when people answer the question (often in comments), OP writes something like "OMG such an obvious bug, I feel dumb for not seeing it". An easy way to deal with these questions would be by giving OP the chance to "agree" with the closing reason. Something that helps OP say "Yes, this question is about a typo in my code - this question cannot help anyone else - reduce discoverability of this question". I know that something like this already exists for "duplicate" closing reason - I (as OP) can "vote to close" my own question as duplicate after someone votes for it, and my "vote" is final. If someone voted "typo" on the question, present some UI for OP, which says "Yes, it's a dumb question, and I got my answer"
I would have closed this with the "simple typo" option. Because I don't think it is a beginner mistake. It seems likely that the break is just some slip that happened while rewriting the code. If the OP knows what break does, then they will recognize the problem as a silly mistake as soon as they spot it. Why would a beginner type a random keyword in the middle of their loop if they don't know what that keyword does? Sure, beginners do strange things, but if they have no clue about what it does, the name of the keyword is rather dramatic and should be off-putting. If I add this, will something break? Uh-oh, better use this with caution. That being said, the "too localized" close reason was good to have. SO is a significantly worse site now than it was when it had "too localized" and "must demonstrate minimal knowledge" close reasons. But that was back in the days when it was still a site for professional and enthusiast programmers. #1 is a tough sell, as the reasons that led "too localized" to be dropped (high potential for misuse, mostly) presumably still apply. As for #2 and #3, the devil lies in what counts as "appropriately worded". I suspect beginner mistakes isn't quite what we would want to aim at, but rather unenlightening problems. Not all beginner mistakes are created equal. Some are completely uninteresting, like the one you have shown here; others, however, are rooted in something worth explaining here. In particular, a common mistake of general interest deserves a proper duplicate target. A quick, totally not at all thought-through suggestion: some sort of new flag/close reason which marks the question for deletion/auto-roomba after n days or once it has been [marked as] answered. This allows newbies to get their question answered, but doesn’t clutter up the search results in all perpetuity; in effect giving both sides what they want. Perhaps the answerer could tick a box along the lines of “this topic is too specific and this answer has no general value” for this to take effect. The difference to the existing close/delete workflow would be that a question can be “preemptively deleted”, as opposed to 5 CVs followed by 3 DVs, while still allowing it some grace period to be answered. Basically the question quoted asks "Why does my program break out of the loop?". The simplest answer is: "You have a break statement within the loop.". It could be answered with a comment and self-deleted, but not if answers are given. We could keep the question so duplicates would be attached to it, but it's only a FAQ if it's a common mistake and not something unlikely to be asked again. What constitutes preserving versus deleting is an opinion, like a vote most people have one; it's a flag category that is missing. This category of question could be resolved politely with a flag called: "The question or product documentation contains the answer". Such questions invite an explanation of what can plainly be seen by many people, but for some reason was missed by the one asking. It is true that something that is obvious to many people might escape notice by both expert and novice. Flagging the question as self-evident allows both expert and beginner to re-read their question and determine for themselves if there is something they might have missed. It has 50 upvotes and 275,253 views in almost 5 years. "I am sure that 2 will not appear. [What] I would like to know is why return; or other codes can write below the statement of System.exit(0); and what was real definition for return; (because it is strange thing for me return without any variables or values) ?" If you try to return a value from a method that is declared void, you will get a compiler error. The data type of the return value must match the method's declared return type; you can't return an integer value from a method declared to return a boolean. The slightly more complicated question has value (for some people) and the votes/views bear that out. Without a flag to explain people's reaction to the question the OP must rely on votes and comments. A bunch of downvotes for a newcomer might be interpreted as unfriendly, perhaps they will find it helpful to know that they need to take a second look at what they are asking; but they feel ruined, their few precious reputation points gone, back to the bottom. A flag that contains a comment suggesting that they should have another try at answering their own question encourages them to learn on their own, rather than running outside and yelling to the world that they have a simple problem that they are unable to resolve. Many of us have stayed up too long trying to finish something when a rest, and a view from a fresh perspective, is what is needed. A flag such as I have suggested says: 'Hey buddy, take another look at what you are asking' without being quite so blunt. We all need a little help sometimes, other times the greatest benefit (for everyone) is that we learn to help ourselves. I agree that we need a flag for the situation, rather than a 'downvote pile on' or answers offered where one must bite their tongue while answering. It's not a dumb question. It might be a simple question, but so long as the person who asked it asked in good faith, someone out there was honestly mystified. But, we don't really want questions like that in the long term. They help nobody but the OP. On the contrary: We want lots of those question in there long term, and we want to make it as easy as possible for people to find them, so that we don't have to answer those same beginner questions over and over. Again, the OP asked because they didn't know the answer, and it's certain that other beginners will run into the same problem from time to time. If you were so inclined, you could take 10 minutes to write a really solid answer, and you'd probably gain rep from it for years. Once someone has answered, they are (frankly) a waste of time to even read. To you, a 500K+ user, perhaps, but SO is about helping each other by answering questions, and that doesn't just mean questions that are interesting or challenging to you. I appreciate that you're trying to think of ways to get rid of simple questions without being unkind, but the kind and helpful thing to do here is to leave simple questions alone or answer them. It might be helpful to create a tag for beginner mistakes, so that really simple stuff can be easily identified. If you're not interested in seeing very simple questions, you can add the simple-question tag to your ignore list. Beginners could benefit from watching that tag and trying to answer the questions themselves. We'd need to be careful to have clear criteria for what makes a simple question, so that the tag doesn't get overused and become meaningless. And it'd be good to try to create a fun atmosphere around it, so that nobody feels too badly if their question is so tagged. A funny name for the tag, like doh (although that one's taken) or smack-my-head or facepalm, could help there. Pointing the tag out in the help material would make it more visible. EDIT: I do now see the error in this approach, I would delete it but the comments might make sense for other people thinking this way. This could easily be an additional flag and be reviewed in triage. The reviewer can have a free text box to leave additional information. Once edited the question will be reviewed for its edit again and if Look OK it will be re-added to the index. I still believe SO should be open for all and people and not everyone is good at using a search index (SO search, google etc). We should not piss people off and discourage them to learn. I think "unclear what you are asking" is appropriate for these questions. The answer is obvious for anyone with minimal understanding, so it is unclear why the asker does not understand. Alternatively, the asker does not understand the basics (of looping in this case), and needs a tutorial or a course of instruction, in which case "too broad" is appropriate. I don't think it is a "dumb" question. It certainly isn't a "bad" question, it has: a reproducable code example, and a clear difference between the desired state (the code should be looping) and the actual state (the code is not looping), and therefore the question: why isn't the code looping? Also I don't think the question helps only OP, anyone who is new to loops can benefit from this, imagine them searching for "how to stop a loop" and finding this, it would probably be helpful to them to know the break keyword, as someone would surely explain it in the answer, or link to a simple loop tutorial. 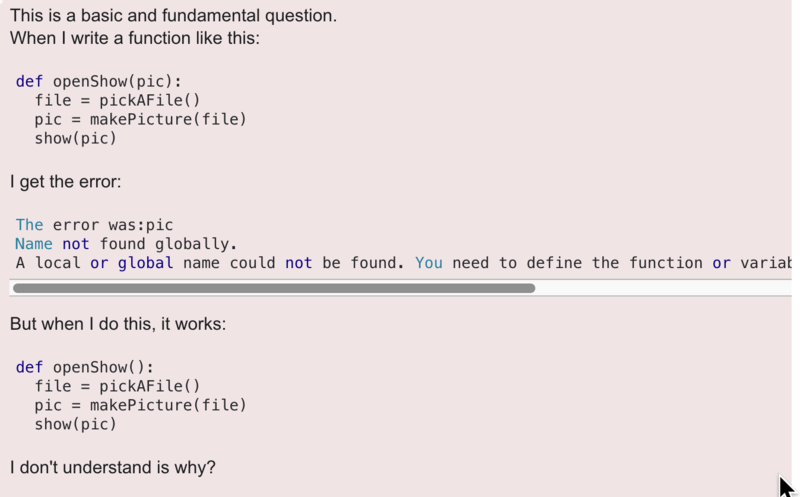 I once thought about adding a "RTFM" close reason with link to a tutorial for these "beginner" questions such as "what is the difference between long and int, how to define a function, etc. ), but you can just answer them and link the tutorial in the answer for further reading, so I don't think it is necessary. Not the answer you're looking for? Browse other questions tagged discussion questions close-reasons low-quality-posts . Why is Stack Overflow so negative of late? Can we please have the “Lacks Minimal Understanding” close reason back? Can we make it more obvious to new users that downvotes on the main site are not insults and in fact can help them help themselves? Should “Very Low Quality” flags be offloaded entirely to tag experts? Do we need a close reason for zero-effort questions? Is “too broad” a valid reason to close a question that doesn't show any research effort? Why would you mark an answer as Community Wiki? What should I do with a rude/abusive comment on an off topic question? When moderators wield their privilege shouldn't it be clear why they did so? Should good questions with good, and evolving answers be closed because they may attract bad answers? Or only if they have attracted bad answers? What's the correct SO behavior for handling good beginner “How to use classes in Python” questions?